Wrecked is a low budget independent film that may have exceeded expectations if given the proper opportunity. Before watching this movie, I knew nothing about it except for the fact that Adrien Brody was the main character. I have been a big fan of Brody ever since I saw the film The Pianist (2002). He acted his heart out in that movie and I quickly came to find out that he usually does in all of his films. It’s no wonder that he received an Academy Award for Best Actor for his performance in The Pianist. 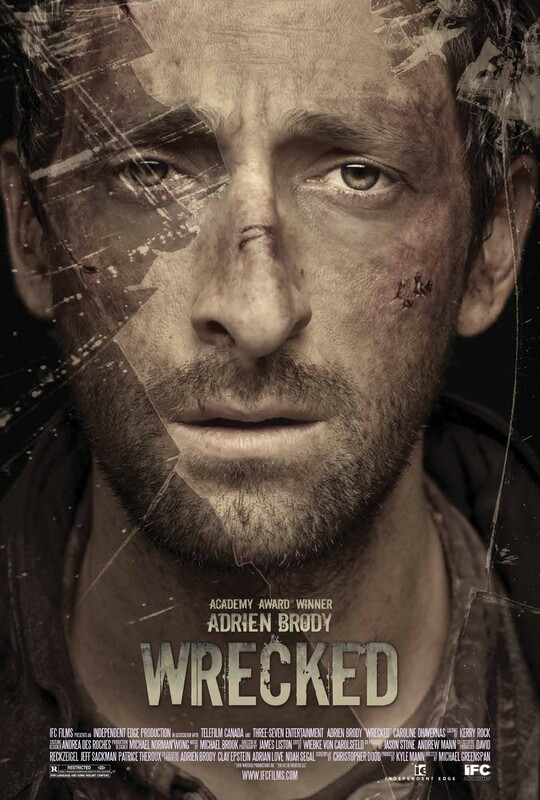 Wrecked is about a man (Adrien Brody) who awakes to find himself badly injured in a mangled car wreck in the middle of a densely wooded area at the base of a mountain in the middle of nowhere. He has no memory of how he got there, who he is, or who the dead passengers nearby are. 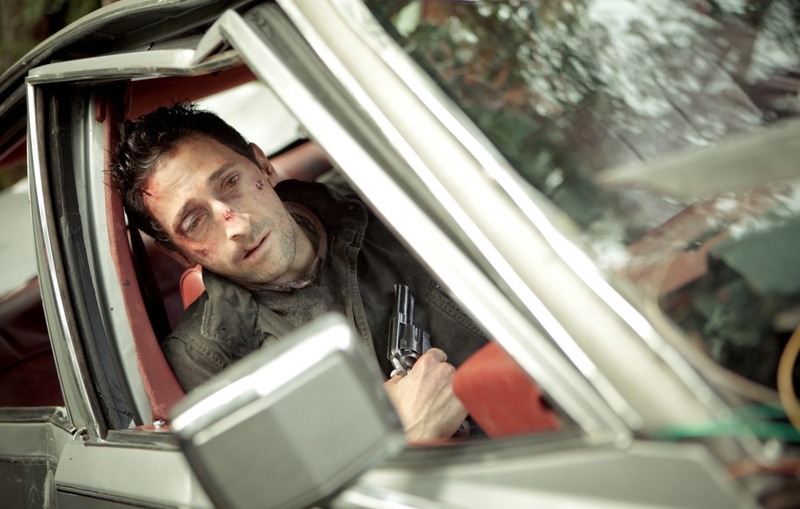 He is stuck inside of the car and is forced to try to survive as he contemplates his past and how he got into his current situation. The film was directed by Michael Greenspan and the rest of the noteworthy cast includes Caroline Dhavernas, Ryan Robbins, Adrian G. Griffiths, Adrian Holmes, and Jacob Blair. I listed the rest of the noteworthy cast, but in reality Wrecked is a one-man show. The vast majority of the movie is Adrien Brody acting alone. The movie has some similarities to 127 Hours (2010), All is Lost (2013), The Edge (1997) and Unknown (2006). It takes a highly talented actor to make a film like this watchable, let alone entertaining. Brody was up for the challenge and he was a superb choice for this role. The pain that his character felt in in the movie appeared genuine in every way. You feel for his character as if the events that are happening to him on screen are actually happening. The film is pretty gruesome and intense. There is a bit of language throughout, but it all serves to make the story more realistic. Unfortunately, I think that this movie is underrated and under watched. It didn’t get the chance that it deserved in theatres. The movie grabs on to you in the very beginning and keeps you guessing what will happen next. It is slow at times, but that is to be expected when there is basically only one person in the film. 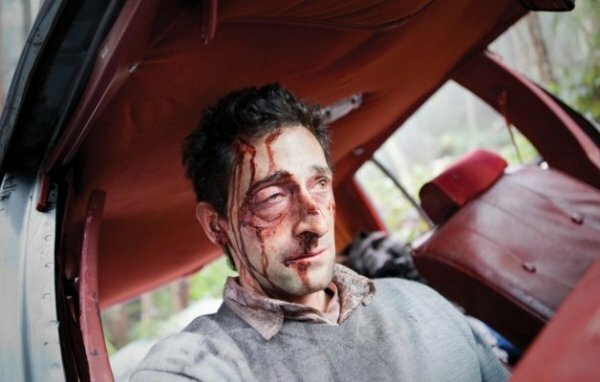 The suspense holds your attention throughout as Adrien Brody’s character is injured in the wild and facing what the wilderness has in store for him. Usually you cannot go wrong watching a Robert Redford movie. 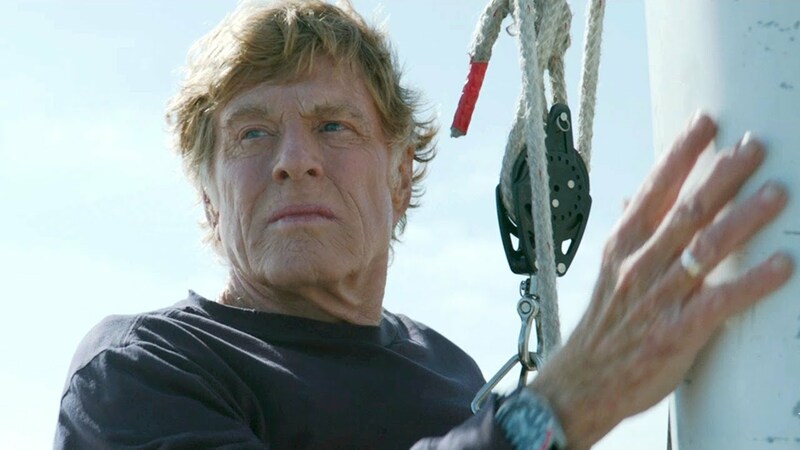 All is Lost is like no other Redford film because he is the only person in the entire movie. Of Course, the concept of only one person in a movie has been done a few times before. Usually movies like this one give the actor the opportunity to show what they are really made of. Movies like this are risky because one person has to literally carry the whole film on his back. 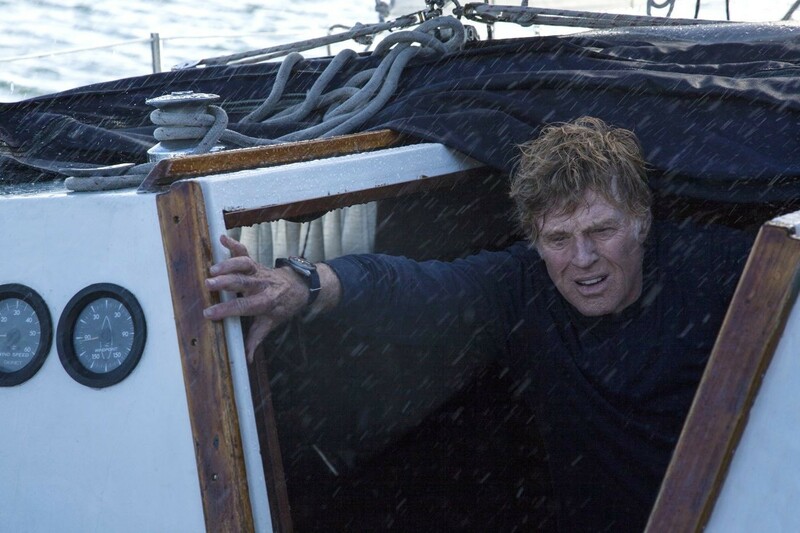 In Redford’s case, it is up to him whether he sinks or swims. All is Lost is about a lone sailor who rips a hole in his boat after crashing into a shipping container in the middle of the ocean. He is forced to use whatever he has on board to try to stay afloat in order to survive. The film was written and directed by J.C. Chandor and as I mentioned before, Redford is the only person in the movie. Redford has been behind the camera more often in recent years than he has been in front of the camera. All is Lost is the second film that he has been in this year. The first one was The Company You Keep (2012). Redford is now 77 years old. It is almost like he has realized that he is not getting any younger and has decided to try to go out with a bang. What better way to do this than to be the only star in a film and showcase all of your acting skills for the world to see. He did exactly that in All is Lost and in my opinion, it was his best performance since the film The Natural (1984). It may also, quite possibly, have been Redford’s best movie overall since The Natural. 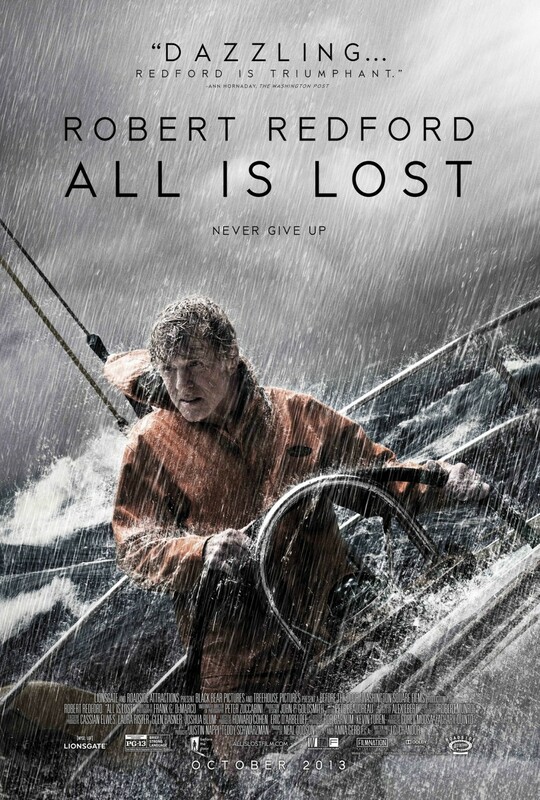 All is Lost is not a feel good movie, but it is a movie that might make you feel better about life after watching it. It is definitely a film that will stick with you. Because the film is a one-man-show, there is not a lot of talking. Not just anyone could have starred in this movie, and to me, it was more meaningful that it was Robert Redford who did. It is a hard story to tell and an even harder part to act. I think that All is Lost is Redford’s third best movie behind The Sting (1973) and The Natural. It is hard to beat those two films, and given that they were made 29 years ago and 40 years ago, you really can’t compare them. 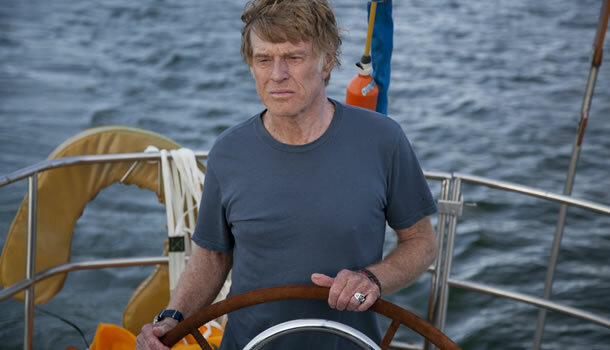 Fans of Redford will not be disappointed with All is Lost. I think that it is one of the best films of the year. He deserves an Academy Award nomination for best actor and the film should be nominated for best picture.